For all the companies Sequoia Capital has invested in (yes, including the likes of Google, Apple, YouTube, Atari and Yahoo) they’ve never backed a UK startup – at least to my knowledge. Well, today is the day that this is definitely no longer true. London-based Songkick, which is home to a large community of music fans who are keen to track where their favorite artists and bands are performing, has raised $10 million in a Series B funding round led by the iconic VC firm. Previous backers, including SoftTech VC, The Accelerator Group and Index Ventures, also participated in the financing round. To date, the company had raised approximately $6.5 million, we’re told, bringing its total funding to $16.5 million. Songkick indexes ticket vendors, venue websites and local newspapers to create a database of concerts happening around the world. This gives people a centralized way of keeping track of live performances by their favorite bands and artists. 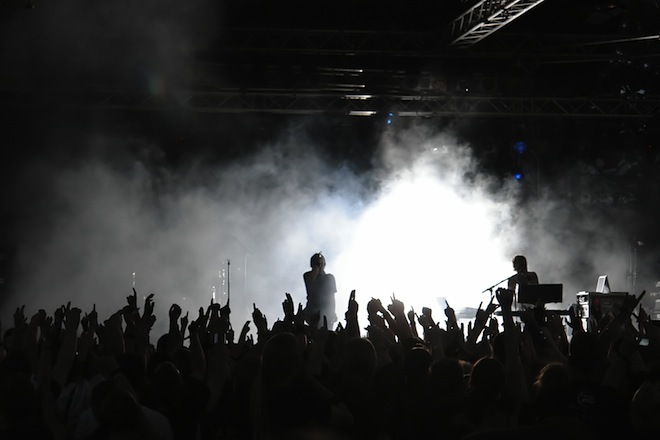 In addition, Songkick is trying to build an extensive online catalog of live concert recordings. Also check Wolfgang’s Vault if you’re into that sort of thing. Songkick co-founder and CEO Ian Hogarth tells me they’ll be using the fresh capital to double down on the development of the new products and innovations that were already on its roadmap, and to accelerate user growth. We’re working round the clock right now on some big new features that I can’t wait to tell you about. We’ll be available in more places you’ve been telling us we should be. And we’re working on some very special new features to bring you closer still to the artists you love. And to the artists reading this. We’re going to continue to help you get in front of new fans from Jakarta to San Francisco. We’ll have some news for you too soon. Already, the company’s comprehensive database of concerts is attracting some 5 million unique visitors per month. According to Hogarth, that makes Songkick the second largest concert site after Ticketmaster. Songkick has integrations with HypeMachine, MTV, SoundCloud, Spotify, Vevo and YouTube, and its iPhone app proved so popular that 100,000 people downloaded in the first 10 days after its launch. An Android app is also on its way. Currently, there are 27 people working for Songkick, which has offices in London but also in San Francisco. Fun fact: I asked Hogarth why this was a good time for the company to look for new funding. He told me that they weren’t necessarily looking, but that Paul Graham of Y Combinator fame (Songkick is a YC-funded startup) introduced them to some of the partners at Sequoia Capital. The conversation with them went well (they apparently “hit it off”) and Songkick ended up raising this $10 million round as a result. I’m sure they would have had little problem raising the capital on their own, but I think it’s a nice part of their story worth including in this post. Never underestimate the power of an introduction.